I received this book for review. This does not impact the content of my review. When I had the opportunity to read an early copy of Jane Austen: Her Heart Did Whisper, I jumped on it. This graphic novel was originally published in Italian in 2017 and this new edition has been translated into English by Matteo Benassi. Inspired by letters Jane wrote to her sister Cassandra, this lovely, little graphic novel tells the story of what may have happened to spur Jane Austen to begin to write and the romance between her and Tom Lefroy. It is a quick and enjoyable read. Jane’s character is stubborn and snarky and smart and exactly who I’ve always imagined her to be. Her friendship with her sister is beautiful. The art style is simple, black and white, with lots of strong lines and a ton of character facial expression. 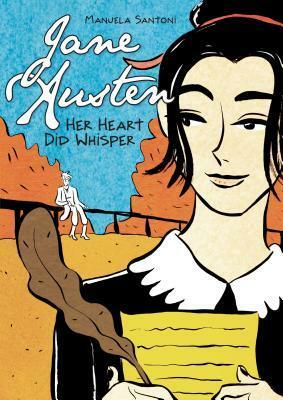 I definitely recommend this graphic novel to any Austen fan! What Jane Austen-related books do you love?